Hello everyone, I am Tony and work as backend engineer in Mercari. 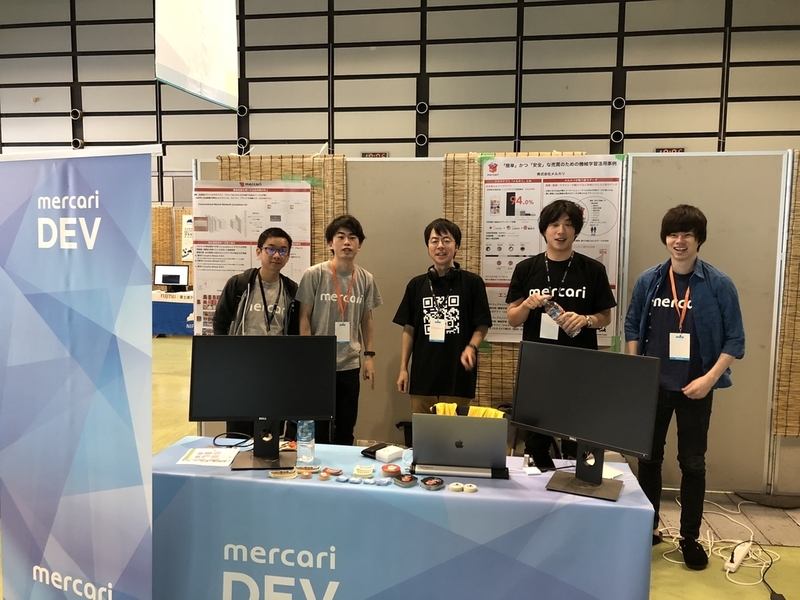 In PyCon JP 2018, Mercari is one of the sponsors. Thanks to everyone who came to our booth! 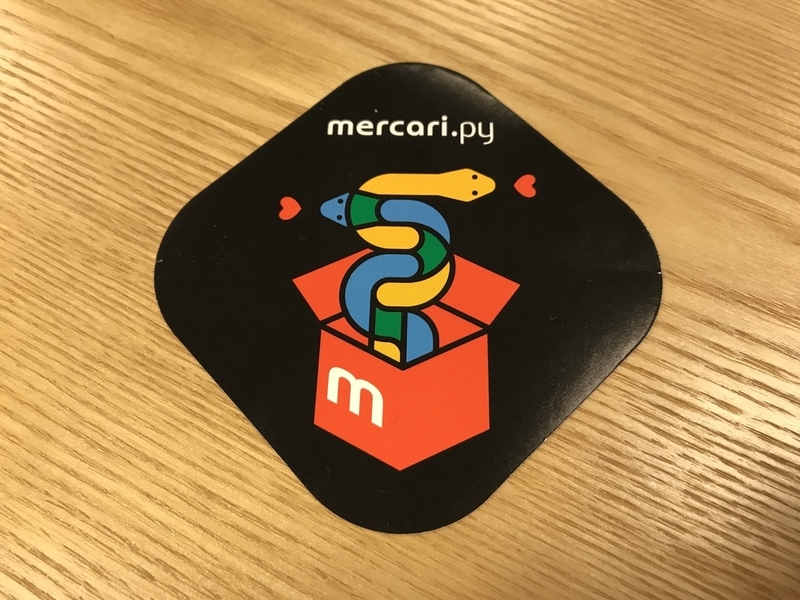 We also designed a sticker for Python and distributed to everyone. It is very cool, isn't it? 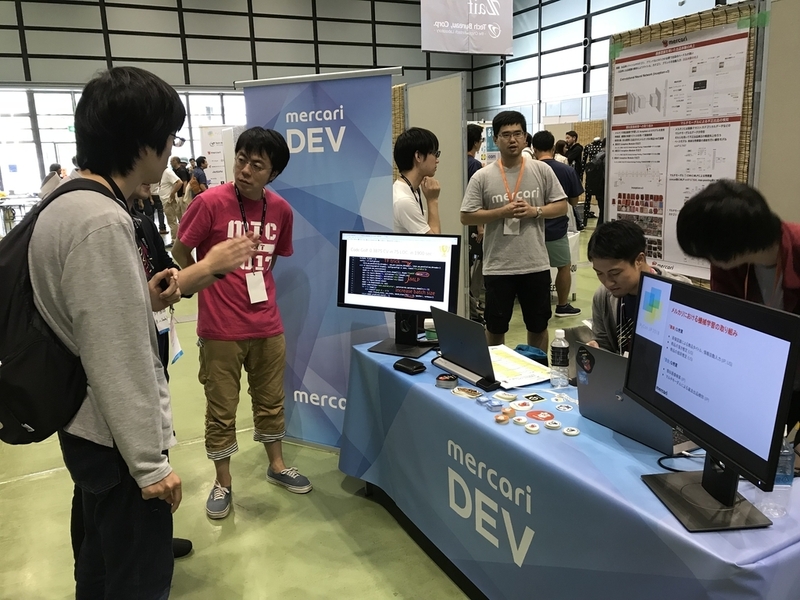 In the booth, we introduced the technique using in Mercari via Python, such as 感動出品(kandoshuppin). 感動出品 is a machine learning feature which analyzes photos taken by customers and then fill in the title, category, brand and so on automatically when customers list items in our APP. 感動 in Japanese means that someone is impressed by something and 出品 means listing items. We think when customers lists items and the information of the item will be filled automatically, customers will feel impressed by the feature. It is the reason we named the feature as 感動出品. Thanks tony and hello everyone once again. Here is kazutaka, I am backend engineer as well and work in NPS team. This subject of PyCon this year was "ひろがるPython" which means that let's enlarge Python, so we saw various fields using Python such as machine learning, Django, Unix process and so forth. From Mercari, We talked in job fair by @hnakagawa and also had a session presented by @metalunk. In job fair, there were lots of questions. One of the questions was that what kind of people would Mercari desire? @hnakagawa said that we would like to hire those people who are willing to challenge the world. 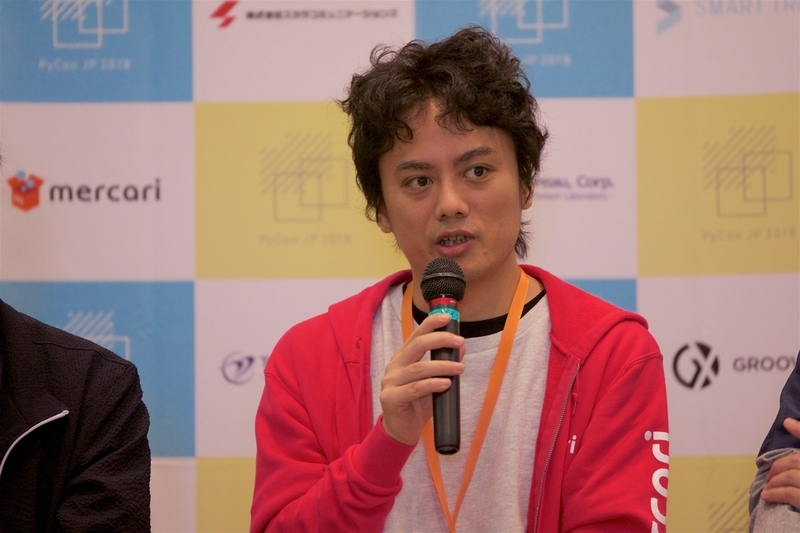 In @metalunk's session, the title was "メルカリにおける AI 活用事例" which is "The AI Case Study Implemented by Mercari". 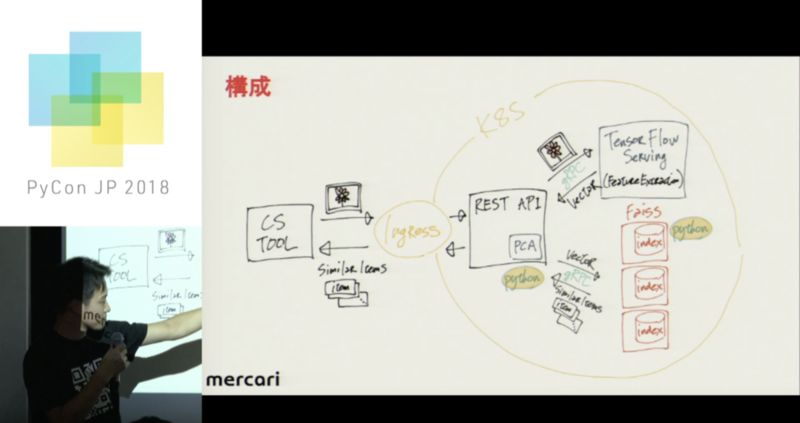 Mercari machine learning platform: make it possible to deploy learning model easily as long as writing configuration file. Image search: talk about how to cooperate between TensorFlow and API. Quantum annealing: explain about "D-WaveマシンでGraph Golfに挑戦した話" and "D-waveマシンで最大カット問題を解く"
There is a record on Youtube. If you are interested in it, please watch this video! We welcome not only machine learning engineer but also backend engineer. For backend engineer, there are lots of chance that we can use Python to deploy new feature!